Remove either the right front or left front wheelhouse liner. Refer to Front Wheelhouse Liner Replacement. 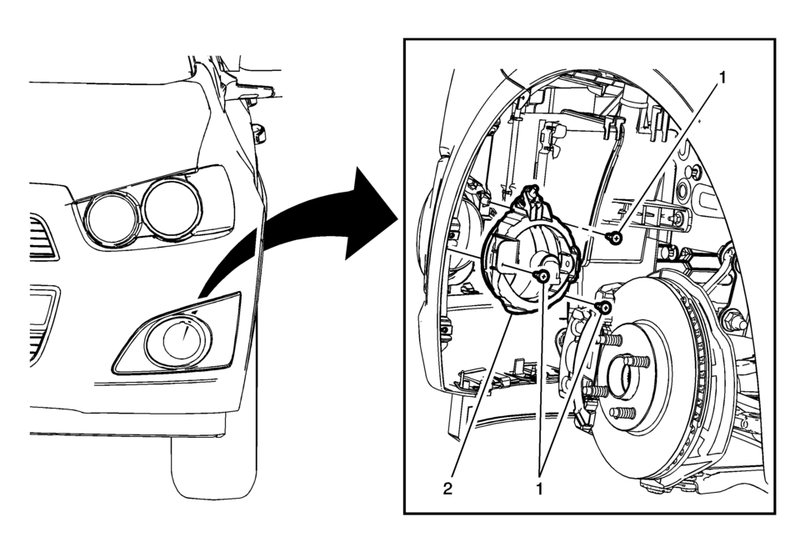 Disconnect the electrical connector from the fog lamp bulb socket. Remove the three fog lamp mounting screws from the front bumper fascia. Aim the front fog lamps after replacement. Refer to Fog Lamp Aiming.